It is great!. this place is the best to learn karate. My son started at Black Belt America almost 6 years ago in their after school program and my daughter is going on almost 2 years now! We absolutely love their program. Watching my son progress from tiny kindergarten white belt to a black belt has been amazing. The instructors and other members of the studio have been a huge positive influence on his life. 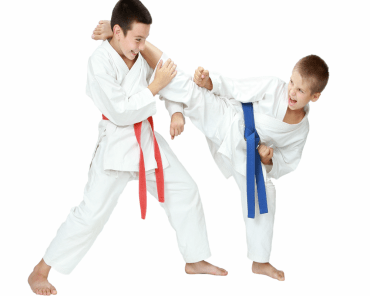 The focus not just on the martial arts techniques but also on life skills such as leadership, teamwork and responsibility have helped my son and daughter both inside and outside of the karate studio to work towards their goals and grow as individuals. The kids enjoy the classes and the community so much at BBA that they also ask to attend summer camp there too. After watching the kids for so many years I also decided I had to give it a try and started classes recently. It is definitely a great workout and a lot of fun. I am Mr.Milkowski and I like how BBA trains their students and rememembera everyone's names. I just earned my Black Belt through here and it was such an amazing experience, I can't wait to earn my second degree. Great after-school and Karate training. Great instructors great people great experience. My son cant stop talking about his time there!! This place is great! One of the few places that would take our 3-year old (most start at 4), and it's been a really rewarding experience. 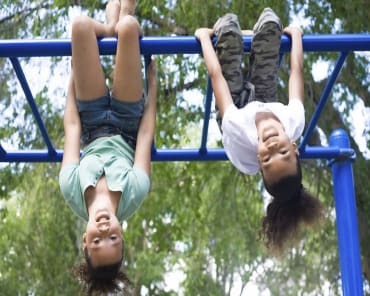 They know all the kids, and encourage them to have focus, agility, control and a bunch of other life lessons that you'd think is beyond such young ones. Highly recommend! I recently had to take my two younger daughters out of BBA because we were having trouble getting to class regularly and just couldn't make it frequently enough for it to be worth continuing. However, I wanted to write about how impressed my wife and I havebeen by their instructors. When our girls could make it to class, my wife and I were awestruck by how every person who works at BBA always brought a positive attitude to class. There was always a focus and friendliness brought from everybody, whether they were an adult who was leading the session or a slightly younger kid who was helping out for the day. I honestly can't imagine how they do it, but whoever is in charge of choosing instructors for the classes is to be commended. 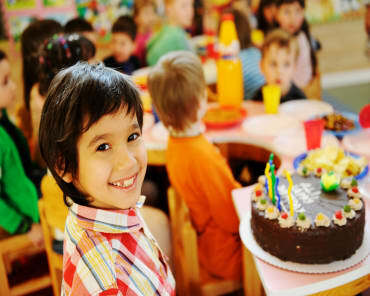 To be able to bring that positive attitude to each session when working with the younger classes did not go unnoticed. We didn't take it for granted. We're seriously going to miss BBA and really enjoyed having our girls there and seeing them get a little work in. Awesome leadership skills! Awesome instructors, they really care about each student and want to help them do good in and out of class. My son Alex is so happy every time he goes there for class. We've been attending for two years, with both my girls starting at three years old. It is a family owned business and the owner came and sat with my older daughter during her first two classes to explain what the other kids were doing and answer her questions. I was so impressed that Mrs. Weidman would spend her valuable time to be so personable! I've been impressed with how welcoming all the staff is to everyone (they even hold doors open for us as a sign of respect!) 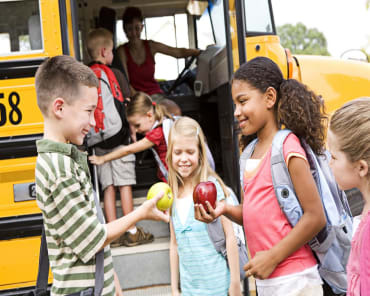 and how they teach kids and adults alike to be good citizens through certain life skills including focus, respect, balance, teamwork, control, and memory. Mr. Klaeser and Mr. O'Donnell have been their teachers and I have been impressed by their patience, respect for the kids, and how they encourage people of all ages to take leadership opportunities in every aspect of their lives. It is wonderful physical exercise, builds strength (and confidence through self defense in the later years) and my girls are already more confident in themselves. Love this place! My son joined Little Ninja recently and totally loves it. Mr. O' Donnell is amazing with kids. Each week, they do slightly different set of things to practice and improve on what they did before - in a very fun, age appropriate way (like pretending to be animals, jumping thru the lily pad etc). He keeps the children very engaged and fun. The whole team is very kind and patient, at the same time, firm to make sure the kids listen and follow instructions. I would highly recommend Black Belt America! I have nothing but good things to say about my family's experience at Black Belt America. My oldest son has been attending classes there for almost a year now. He loves going to classes and is excited about his progress in advancing in belt levels. He has a ton of respect for the teachers there, who are well-trained, enthusiastic, and just great people. The program extends its focus on life skills, such as respect and leadership, outside of the karate studio and into home and school, which helps him make those connections and see how his success in karate applies to other parts of his life. Karate summer camp has been a ton of fun while still promoting respect and discipline, so as a parent I feel it combines the best of both worlds for summer. All the teachers and counselors are looking out for the best interests of all campers and really create an safe and fun environment. Our son starting coming to Black Belt America this summer and loves it! We have never seen him so excited about his progression in an activity and his dedication to doing better. He always looks forward to going to camp and leaves with a smile on his face. His demeanor has improved in just a few weeks as well! We all win! Both of my boys have been attending Black Belt America for 2 plus years. They both love attending the classes and have made some great friends through the program. The instructors are encouraging and supportive while still getting across there message. They will make you repeat a skill until you have mastered it but will be praising you the whole way so you really feel like you have accomplished something when you are done. I would recommend the program to my friends. That is how we got involved through a recommendation of a friend. "It's a really nice place to be. The thing that I like knowing about it is that is if you ever get into a fight, you know how to defend yourself. My teachers always know what to do. They take good care of you. I like when we earn stripes because it helps me to know when I'm getting good at karate." ~ Clayton, age 7. Black Belt America has been an amazing experience for my son. The lessons that he has learned are priceless and will benefit him for life. The instructors are great role models and mentors and work endlessly to make sure every student's needs are met. At the recommendation of a friend, I signed my son up for Black Belt America's after school program in the fall of 2014. I wasn't sure what to expect, but now looking back at the past two years, I can say it's been an amazing experience for my son. I've watched him develop confidence, better executive function, improved athleticism and a love for a wonderful art. One of the aspects that I have particularly appreciated is that the values promoted at Black Belt America are those I promote at home. This makes my job easier as a parent, because my son hears the same message from the adults and instructors around him. My daughter will enter kindergarten this fall, and I'm looking forward to having her continue her training in Black Belt America's after school program (both she and my son are having a fantastic time at Black Belt America's summer camp). Many, many thanks to the wonderful instructors and mentors at Black Belt America. We were looking for an alternative to the usual after school care for our children. They had gone to the Y after school program and had enjoyed it but we wanted something more enriching. We found tasma, Black Belt Americas after school program. Since that point, we were hooked. Our children have enjoyed the camaraderie and the physical and mental challenges that BBA provides. Our eldest daughter has now received her Black Belt and our son will be in black belt training soon. Even our youngest daughter who is 4 is taking karate lessons and will be joining tasma in the fall. I highly recommend BBA. The instructors take time to work individually with the students to get the best out of everyone under their instruction. Having my sons at Black Belt America is one of the best decisions I have made as a parent. My boys are learning life skills that are going to benefit them for life. Their increased confidence has been very refreshing and I have to give credit to the fantastic staff that help lift them up to be their best. I myself have joined the program and have loved every minute of it and would highly recommend this place to everyone. If I could've given 6 stars I would have. Been at BBA for one year and so far I have only good things to say! There is always an atmosphere of encouragement and mutual support that helps keep you motivated and on track to improve yourself mentally and physically. Very glad to have found a place in Madison to continue my lifelong love of the martial arts. I love Black Belt America. The instructors are great! My 9 year old started there a few years ago. He loves going to class and even though he would like to do some other after school programs, he is dedicated to getting his black belt and wants to stay focused on his karate. He can't wait to be asked to join some of the advanced programs that Black Belt America offers. He trusts the staff and really looks up to them. My youngest is 4 and recently joined their Little Nijas program. He sometime has difficulty staying focused and on task, but the instructors are great at getting him to stay on task or redirecting him to what he should be doing. Black Belt America has been great for my kids and I see them both sticking around for quite a few more years! I am currently working as a counselor for Black Belt America's martial arts summer camp. 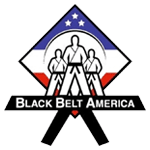 From the moment I started my training, I felt welcome as part of the Black Belt America family by the Widemans and the rest of the amazing staff. As part of my position, I worked directly with the campers, facilitating activities and making sure they were having fun and staying safe. The flow and structure of the daily schedule was great, as the children were kept very active throghhout the day, but were also given ample opportunities for downtime. The activities themselves were all awesome, and the children really seemed to enjoy them. I really enjoyed accompanying the field trips, going to a few places I wouldn't have went to otherwise. The part of my experience I am most impressed with is seeing how the children have transformed over the course of the summer. Many have made leaps and bounds in their behavior, and it's so cool to see them encouraging and helping out the other campers. The impact that this summer camp has on the children is apparent by the smiles on their faces at the end of the day. I am very proud to play a part in this organization, and would highly recommend this academy to anyone who is thinking about getting into martial arts. Black belt America is a great place for your kids to be. The instructors not only teach self defense, they also teach different areas such as responsability, respect, and hard work. My daughters benefit from this school very much, they become more extrovert, responsible and more attention to detail. The instructors are dedicated, highly prepared, and super friendly that makes the school such a second home. I also take karate classes, which help me to lose over 10 lbs in 2 months, help me with my flexibility and the best of everything is helping me a lot with stress relief. My instructor Mr. Klaeser is highly prepared and very patient with me. They are always willing to help me and practice with me any combination, and get me ready to compete. Mr O'Donnell is my daughters instructor, he is really awesome with kids, very patient and kind.